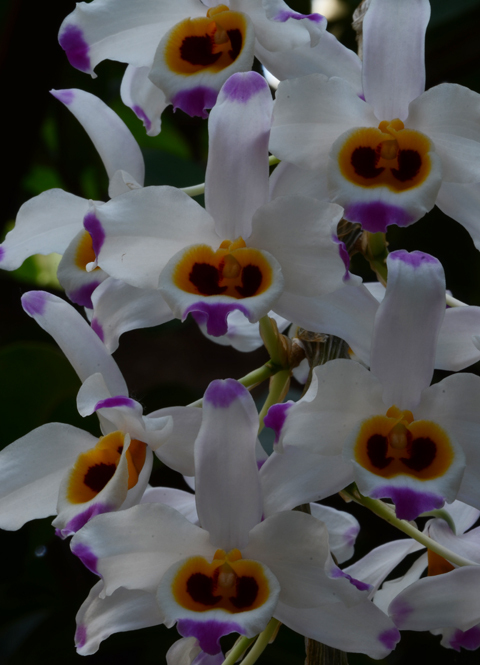 Arriving at the end of the great tidal wave of dendrobiums in April and May is Dendrobium wardianum. Is this our prettiest Dendrobium? Sometimes I think so. Dendrobium wardianum flowers on leafless canes after a month or so of cool dry weather, just like Dendrobium anosmum. In fact, we grow them exactly the same way. It spends the summer in our warm shady tropical greenhouse, and then part of the winter in our 53º (night minimum) sunny greenhouse. 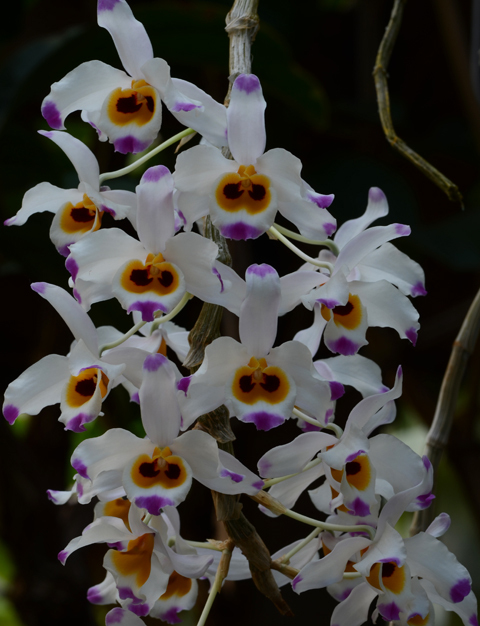 Dendrobium wardianum grows as an epiphyte from southern China through southeast Asia.